I don’t quite get the hype and raves over National Kitchen. Most of the dishes are average-nice but definitely nothing spectacular nor memorable. For a truly kickass Peranakan meal, I’ll head to Candlenut any day! Standard starters such as achar and rojak were good but not great. 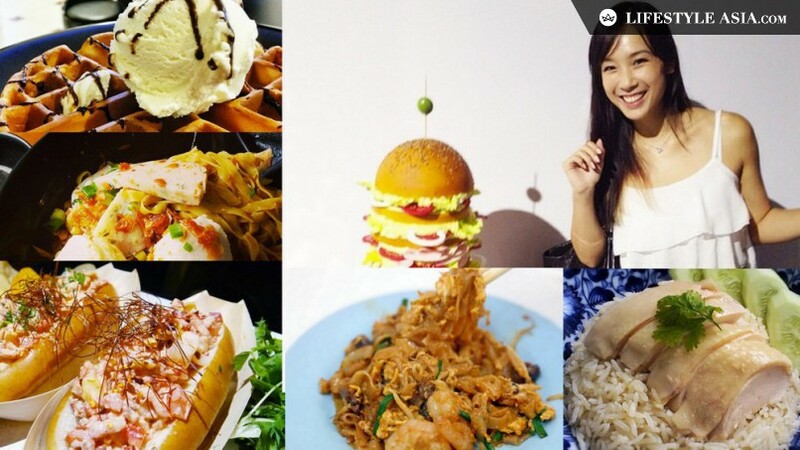 If you like refined hawker dishes, it’s time to make a reservation here. The most special item we ordered was the “kimchiam” salad. I have never had this combination before – boiled prawns, sweet and slightly tangy starfruit, chewy dried lily buds, all tied together by a spicy chilli dressing. Interesting! We were expecting the chicken buah keluak to be served with a thick fragrant gravy (maybe I went to Candlenut too many times) but the diluted version here was disappointingly akin to… Chicken curry? I first tried the meatless meatballs back in 2013 at Violet Oon’s Kitchen and liked them a lot. Fast forward two years, the walnut and cheese “meatballs” turned out too mushy on my visit and could really do with a crisp crust. The description of “cod in laksa sauce” already had me salivating and thankfully, the execution was exactly what I imagined it to be. The fresh slab of fatty cod went very well with the sinfully rich and creamy laksa sauce. May be overwhelming for some people but it’s right up my alley! I’m guilty of associating drinking holes with bar grub, i.e. mediocre food. Which is why Harry’s new menu created by culinary director Chef Daniel Sia (from The Disgruntled Chef!) is such a pleasant surprise. Hits for me from the comprehensive menu include the fried fish skin (so addictive that I shamelessly hogged this), delectable golden brown crab and potato cakes (very smart of them to print “crab and potato” instead of “crab cakes” so that expectations are managed), and the sinful rum-spiked baked chocolate cake served with vanilla ice cream and raspberry bits! Other than these, K really liked the signature spicy wings too, as well as the hearty beef stroganoff pasta. The premium lager battered fish and chips were rather disappointing; the generous pieces of fish looked perfect but the one on my plate was too oily. Then there are the average dishes – charcoal and onion ciabatta bread (essentially carbs to fill the stomach) and mushroom flatbread (more carbs), skippable. My thanks to Hsian Ming for hosting dinner! First we have the term “Mod Sin”. Now there’s “Gastro-Botanica”, the contemporary cuisine created by Chef Jason Tan at Corner House that highlights both protein and botanical elements. We brought a couple of overseas friends there for dinner one night and what else can I say other than it was truly a beautiful meal? There is no ala carte; either you go for the elaborate degustation ($248++) or choose the mix-and-match menu (4 courses for $98++; 6 courses for $148++). We did the latter and left with happy smiles and full tummies! From start to end, every dish was elegantly presented and the ingredients of high quality. I especially enjoyed the black sesame spheres (yes I’m naturally biased towards anything with the word ‘sesame’ but everyone at the table agreed that these were good! ), 62 degree egg hidden in savoury-sweet onion puree (points given for the unexpected slice of shaved black truffle! ), delicious fresh cod with seasonal white asparagus (any chef who can whip up fish with such crispy scales has my respect) and of course, both the desserts – chocolate “pebbles” plated to look like a winter garden, and a modern take of the traditional “kaya toast” with weak pandan but strong gula melaka flavour. The staff packed petit fours for us (really too full!) and guess what greeted me the next morning? Salted egg yolk macarons! Brilliant. sorry I can’t remember what is this dish. there were too much food! … which (un? )fortunately didn’t manage to displace Hanare and Koji from my heart. I enjoyed dinner at Sumiya very much but lunch was a tad underwhelming, especially when there were so many gorgeous photos of the bara kaisen don on my Instagram feed. Lunch sets come with salad, chawanmushi and mochi for dessert, but I can certainly do without the frills (not even a mochi fan ha) if that means more fish on slightly dry sushi rice. The anago don was better – four long and tender (albeit thin) anago almost spilling out of the bowl, a beautiful sight! Again, my expectations were (very) high due to the raves I read on Instagram (I’m an addict!!) lol. Price tag being equal, I much prefer Hokkaido Sushi’s chirashi don to Manzoku’s. It may not be the best nor my favourite, but the generous slices of fish were very fresh! Other than going cray-cray over bara/chirashi, I’ve also had a ridiculous infatuation with maki rolls. Of course, Koh Sushi and The Sushi Bar are unbeatable (to-date) when it comes to rolls but the special maki here is definitely worth a try! I love the contrasting texture from the crispy salmon and soft anago. The highlight though was the platter of salmon sashimi. 20 pieces for $18++, what a great deal! And so fresh, soooo good! Say hello to my recent food obsession: donburi bowls from Kilo at Pact. More specifically, I’m heads over heels with the salmon quinoa bowl! The ingredients are simple but outstanding on its own – sweet fresh and crunchy corn kernels (nothing out of a can! ), creamy and perfectly ripe avocado, well-marinated radishes and shimeji mushrooms, and incredibly flavourful quinoa. So delicious that I don’t even mind that the salmon tends to be overcooked (tried and tested thrice). I can’t make out what’s in the secret dressing though – shoyu? Mirin? Vinegar? WHAT?! Guess I’ll keep going back to figure it out haha. K’s pork belly bowl is a near replica – just substitute salmon for pork belly, quinoa for sushi rice. He didn’t like this place on our first visit but has since changed his mind yay. The power of a pork belly bowl! As neither of us work in the CBD area, K and I are always very excited whenever we have a chance to lunch with the office crowds haha. We decided to give Lime Deli a try primarily because it is opened by the same folks at Lime House, Singapore’s first Caribbean restaurant which has been on my to-go list for ages. Located along Telok Ayer Street, this deli concept serves food freshly prepared daily by the Lime House chefs and available for both dine-in or grab-pay-and-go. The only fish/seafood dish on the menu is the “catch of the day” which turned out to be fried parrotfish, my first ever! The texture was firm and a little flaky, very interesting. Every main course comes with two sides and I chose the most exotic ones – ladyfingers and spinach in coconut cream and lemon lime slaw. I prefer the latter for its zesty flavour while the gooey okra in creamy gravy was somewhat of an acquired taste. Wiki told me that jerk is a “style of cooking native to Jamaica in which meat is dry-rubbed or wet marinated with a very hot spice mixture called Jamaican jerk spice”. While the jerk chicken was well-marinated and tender enough, it was not spicy at all. The hand cut chips are actually an assortment of yam, potato and sweet potato, a refreshing change from the normal shoestring fries. Skip the macaroni pie as it was too dry and starchy. Oh ya, we also tried the curried pumpkin soup ($4), lovely!